It’s Noel Coward. It’s supposed to be brilliant. To think he wrote this over one weekend, no rewrites, makes it even more impressive. He based the play on a famous American actress (she was the first Blanche in streetcar named desire) – and after seeing the play she reportedly never spoke to him again. He seemed to have created a very accurate portrayal of her highly disfunctional family. In this production Lucy Peacock is the famed actress who fights getting older by terrorising the guests that are lured into their mansion in the country. Stage star Judith Bliss, her novelist husband and their two grown children have each invited houseguests for the weekend. But as the Blisses indulge their artistic eccentricities in a hilarious whirlwind of flirtation and histrionics, the guests begin to wonder if they’ve landed in a madhouse – and if they can survive the weekend with their own wits intact. The family is dangerously witty, sharp tongued and intelligent and they have no scruples to bring their guests in the worst possible situations. A harmless kiss leads not only to immediate engagement but also to mother Bliss dramatically giving her children away. When the guests abscond early in the morning, the family is again happily quarreling about streets in Paris and if they lead to a certain place. Their guests certainly feel lucky that they escape unseen! The audience is lucky, too. The cast is amazing, Cynthia Dale brilliant as the demi monde, and Lucy Peacock is grand as always. It’s fast paced fun, cleverly unmasking the eccentricities of the rich and famous. A must see in this season in Stratford! 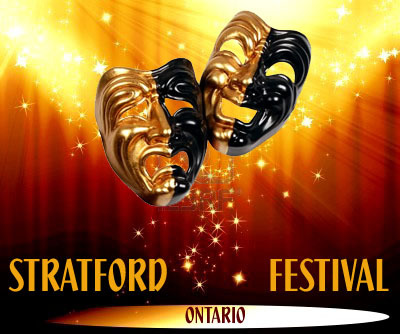 This entry was posted in Stratford Festival Ontario and tagged Cynthia Dale, hay fever, Lucy Peacock, noel coward, Stratford Ontario, Stratford Shakespeare Festival. Bookmark the permalink.